Two years of hard work pays! Truly humbled that legendary bassist Ron Carter played in our Almadraba recording. Here is a short teaser of the studio rehearsal on May 21, 2018. Catch the full performance @BAM Next Wave Festival at the Fisher Theater. Almadraba, my new music work is an intriguing new composition where the jazz, classical and popular driven styles, interact with Iberian traditions paying homage to the traditional almadraba fishing in Andalusia. Donate is tax-deductible through our fiscal sponsor organization, Fractured Atlas. 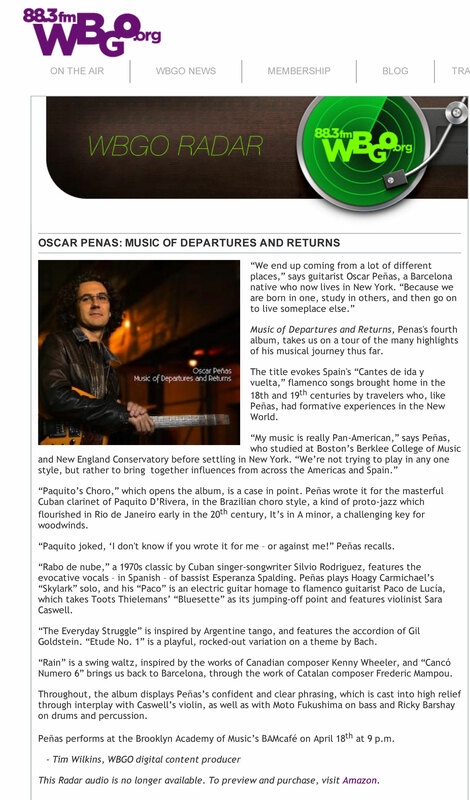 Oscar Peñas’ Crossroads, (2016) Crossroads is the new jazz-fusion project lead by guitarist Oscar Peñas. It premiered at Dizzy’s Club Coca-Cola in NYC on Feb. 1st, 2016 and it features Gregoire Maret on harmonica, Moto Fukushima on bass, and Richie Barshay on drums. 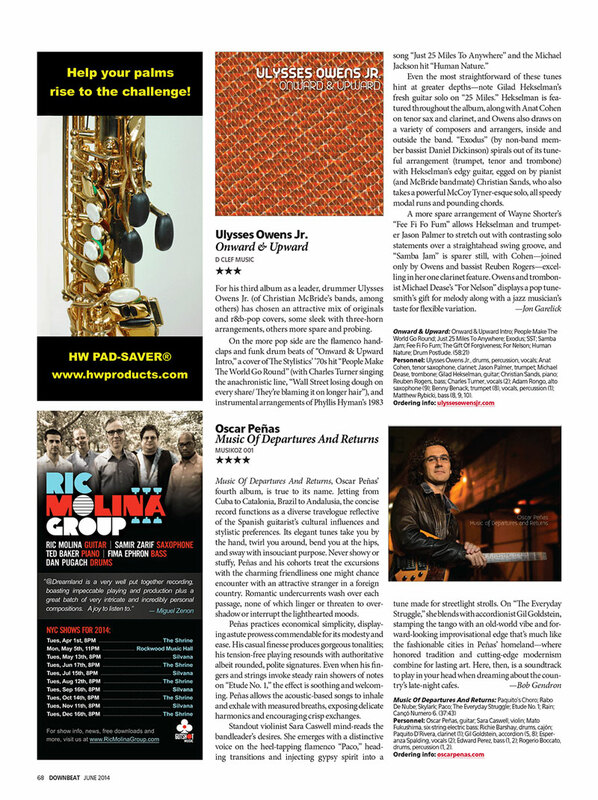 Crossroads’ sound captures Peñas’ consistent technique, a rare sensibility seen in jazz. 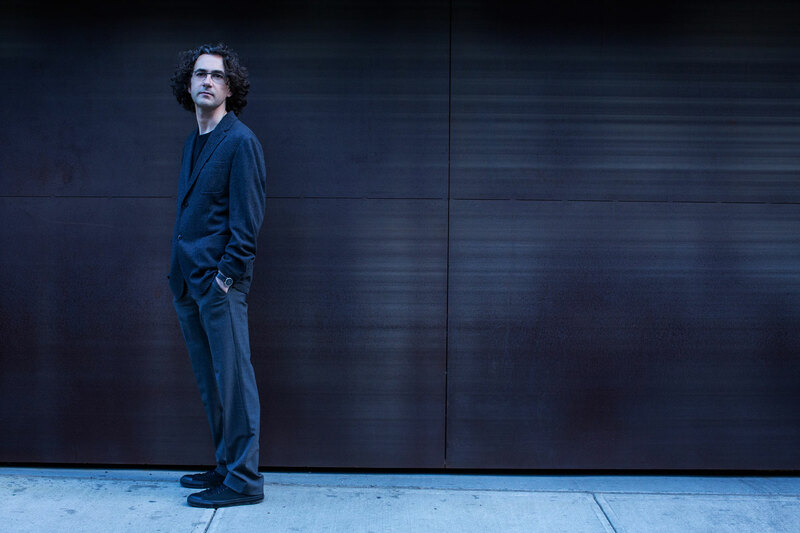 His lower intensity facilitates him to shade tunes with meaning and subtlety, a refreshing musical approach in today’s over-amplified jazz world. Oscar’s cultural mixing and crossover melodies are clearly represented in this varied repertoire of originals.